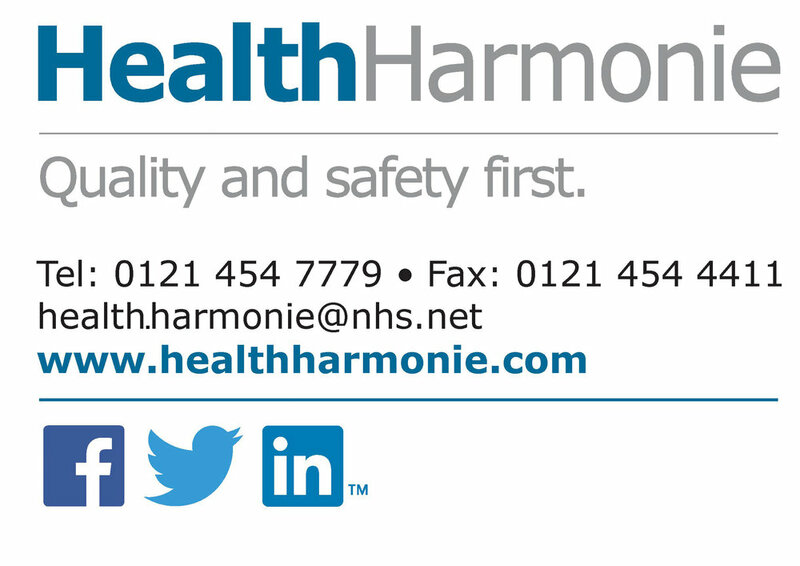 HealthHarmonie Ltd is a fast paced, growing organisation that operates in the Healthcare sector, based in the vibrant city centre of Birmingham. Established in 2003, HealthHarmonie has grown with the ever-changing healthcare industry and the access to NHS services that patients have today. HealthHarmonie Ltd work in partnership with a number of NHS Clinical Commissioning Groups nationwide to provide patients with access to community services closer to their home. By joining the HealthHarmonie family you will be a part of the fundamental infrastructure needed to deliver excellent patient care across the UK. Whether this be joining us in a clinical role or an administration role, your presence in HealthHarmonie is vital. Working with us will provide you with training relevant to your role, exposure to new and exciting challenges and a wealth of career progression opportunities. All of our roles require you to have an innovative thought process, a willingness to learn new skills and the desire to be in charge of your own career by taking ownership of the role you are completing. See our live vacancies here. What is it like working at HealthHarmonie?